Want to see what vendors are at the market? Check out this map! The Wilson Farmers & Artisan Market specializes in locally grown produce and handcrafted artisan goods. Located under the Pavilion in the Vollis Simpson Whirligig Park, the market offers a large, multi-purpose shelter which shades both the vendors and customers. The structure is designed with a roof line emulating the historic tobacco warehouse which once sat on the park site. Adjacent to the Pavilion are welcoming picnic tables where visitors may enjoy their tasty treats purchased from the wide array of farmer’s offerings and food trucks. In addition, a grassy green for lounging and games, a stage for special musical or performance guests, and beautiful landscaping create a multifaceted experience which is convenient and appealing for employees seeking a work day break, family and group outings, and visitors traveling to experience the 30 massive colorful, kinetic works of Vollis Simpson. The market provides an opportunity for out-of-town visitors to take a piece of Wilson back home with them. 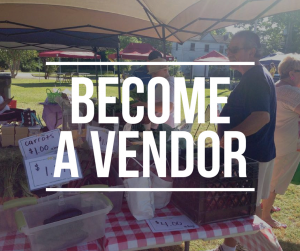 VENDORS: We accept vendor applications exclusively through the Manage My Market website. Please take a moment to read through the Vendor Guidelines. If you feel you are a match for the Wilson Farmers & Artisan Market, create a Manage My Market account. If you’re already registered, log-in to continue with the online application process. Click “Apply Now” for the Wilson Farmers & Artisan Market. We should be the first market on the list. Additional assistance needed? Call Manage My Market support line at 503-878-8466. Vendor applications now being accepted for the 2019 market season. Click below to complete online application.